Little Liars series: Wicked, Killer, Heartless, and Wanted. Now that Hanna, Spencer, Emily, and Aria are rid of “A,” the stalker who terrorized them for months, they’re free to go back to their pretty little lives. Too bad there’s a new A in town. And this A refuses to let them forget about Rosewood’s darkest secret: the murder of their best friend Alison DiLaurentis. 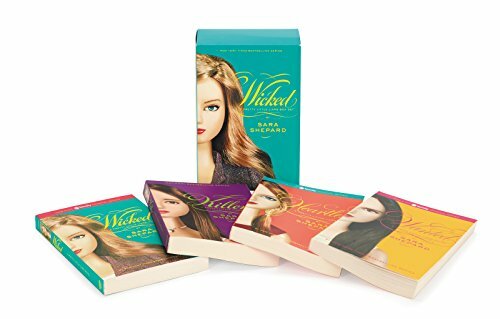 The girls dig deeper for the truth—but someone wants to bury them alive.Binge-read books five through eight in the New York Times bestselling series that inspired the hit ABC Family TV show Pretty Little Liars with this box set.